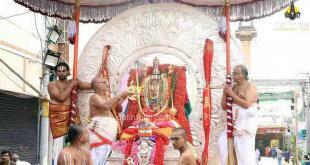 Tirumala Brahmotsavam Supadam Entry will be closed completely during SriVari Navaratri Brahmotsavam. Supadam is a special Entrance Darshan for Senior Citizens, Infants, NRIs, Newly married couples and other privileged persons. 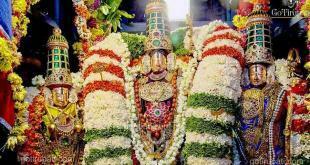 T.T.D took this decision for the benefit of common devotees. 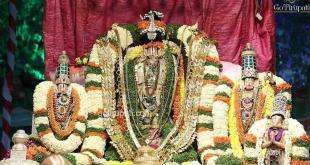 Devotees who planned to reach Tirumala by walk using Divya Darshan or thru Sarva Darshan will be benefited from this during Brahmotsavam. Whoever plans during Brahmotsavam for Supadam entry, should reconsider their trip. 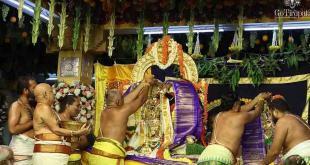 VIP Break Darshan is still available to devotees who comes under protocol. For any queries on the Darshan, please leave your comment below. So NRI darshan quota will not be available during brahmotsavam? There is no special darshans till 18 th October.